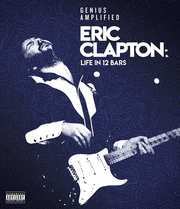 Lili Fini Zanuck directs this documentary which charts the life and career of renowned rock and blues guitarist Eric Clapton. Considered by many to be one of the most influential rock musicians of his era, Clapton gained success with bands such as The Yardbirds and Cream in a career which has spanned five decades. The film features archive footage, interviews with Clapton himself and contributions from fellow musicians including George Harrison, Steve Winwood and John Mayall.